Safe-eyes goggles are a great gift for your “hard to buy for” guy or gal. This new packaging is adding value to Safe-eyes. Safe-eyes can be used for wide range of activities whether it be lawn mowing, weed eating, water blasting or anything D.I.Y. These are a must have item around the home or work site. 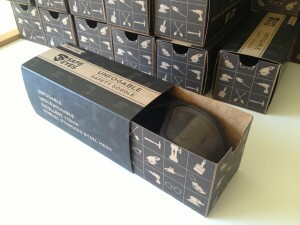 Where can I get Safe-eyes in the new “Gift Packaging” ? Otherwise contact us now for more information and orders.